Last weekend, Pheasant Field B&B was host to a group who gathered for their extended family's Christmas celebration. The matriarch of the family was such a fun, warm lady! She was so happy to have all her children and grandchildren (and even "grand dogs") together for a fun time which included great food, fun games, some unique gift exchanges, and lots of family pictures. The gathering included a horse drawn wagon ride complete with "Jingle Bells" on 'Guy', their beast of burden - who also seemed to enjoy the day! 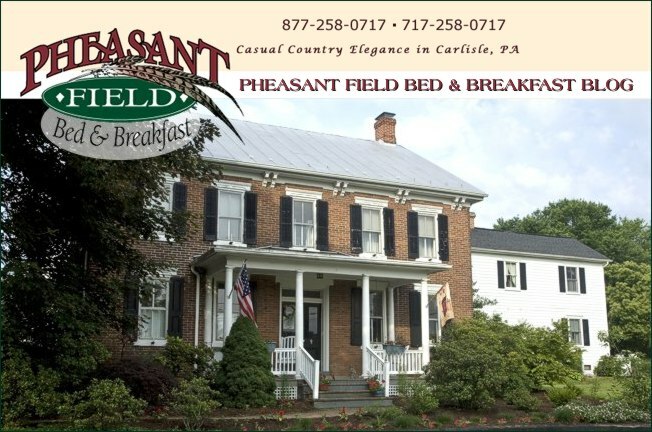 Pheasant Field Bed & Breakfast! Dee, Chuck, Sara, Kate, and Emily.